One of current trends in Wedding photography is what is called Documentary Wedding Photography. Other names include Wedding Photojournalism and Reportage. The idea behind this style of photography is to tell the story of the day through photos. Candid photography means minimal posing and natural looks. At San Francisco city hall this often means creating a situation where the couple can seem natural. 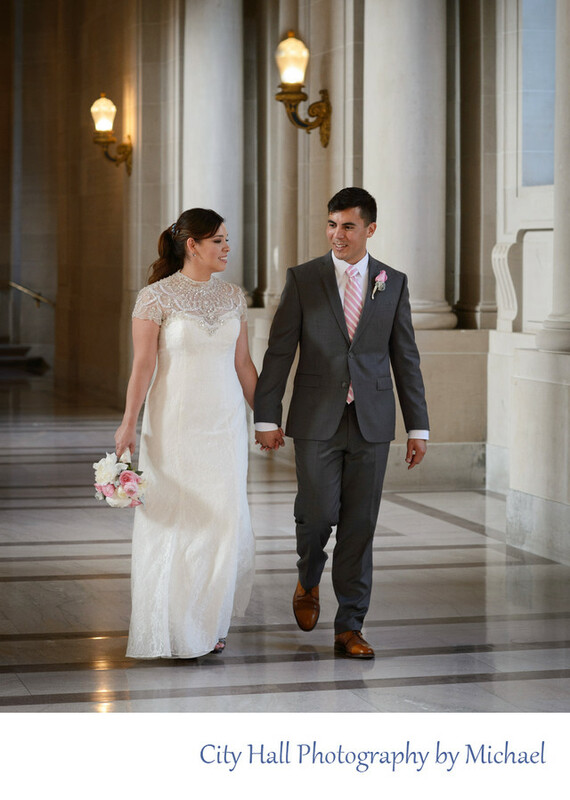 For this photo we had the couple walk and talk while walking through halls at city hall.